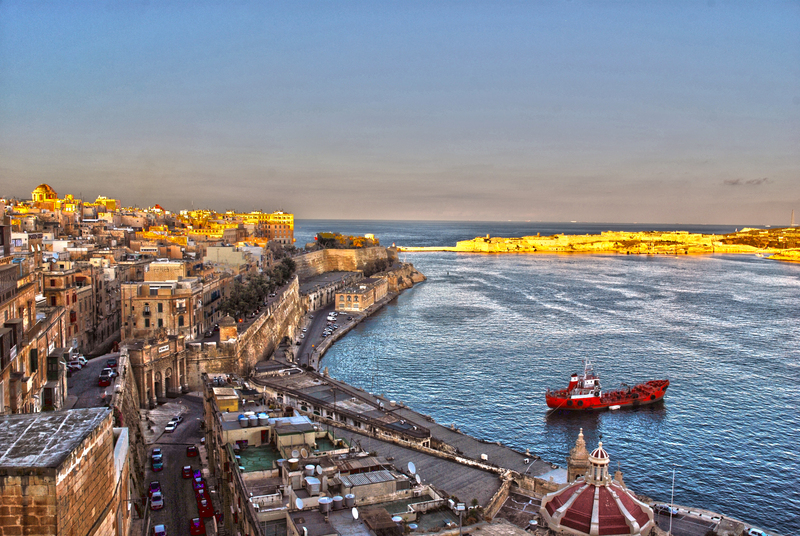 While Malta has officially taken over the EU's rotating presidency on 1 January, the real show will begin when European commissioners pay their traditional visit to the incoming presidency of the EU Council on Wednesday (11 January). Commission president Jean-Claude Juncker and his 26 colleagues - Bulgaria has still not appointed a successor to Kristalina Georgieva who left for the World Bank at the end of the year - will discuss the presidency's agenda with the government of Joseph Muscat. The focus of the meeting will be on migration, security and social inclusion. Maltese ministers will also present the presidency's priorities in justice, security and supporting European businesses to members of the European Parliament on Thursday (12 January). 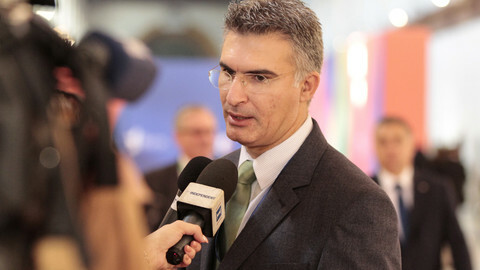 It is the first EU presidency for Malta, which joined the EU in 2004. Hopes are running high that Turkish and Greek Cypriot leaders could agree on reunification when their leaders begin a three-day long negotiating effort this Monday (9 January) in Geneva. Newly appointed UN secretary general Antonio Guterres last week called the talks "a historic opportunity" in the EU member state after several previous attempts failed. The UN special envoy to Cyprus, Espen Barth Eide, will also be presiding over the talks. Cypriot president Nicos Anastasiades and Turkish Cypriot leader Mustafa Akinci will try to hammer out property, power-sharing and security issues. One of the main sticking points is the status of some 40,000 Turkish troops stationed in Cyprus's north, an entity that only Turkey recognises. The Greek side insists they must all be pulled out, while the Turkish side says some must remain. 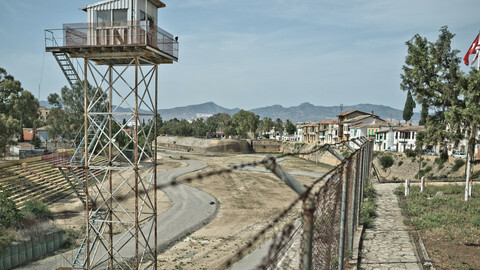 In 2004 Greek Cypriots turned down a previous agreement in a referendum because the troops were allowed to remain. Any agreement will have to be supported by referendums on both sides on the island with over one million people. Turkey invaded the island's northern part after a Greek-inspired coup in 1974, which has kept the Turkish Cypriots in the north and Greek Cypriots in the south separated by one of the world's oldest UN peacekeeping forces. In the meantime, Turkish parliamentarians will start to debate on Monday (9 January) the controversial plans of President Recep Tayyip Erdogan to reinforce its own powers. The proposed new constitution would turn Turkey's political set up into a presidential system for the first time since Turkey became a republic in 1922. 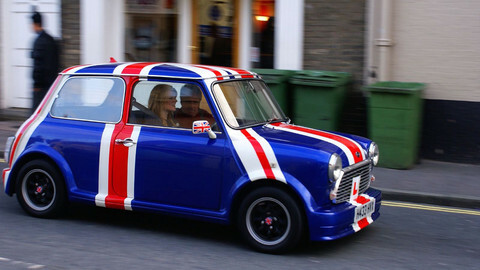 MPs will discuss the new draft constitution in the next two weeks, with a referendum following in March or April. 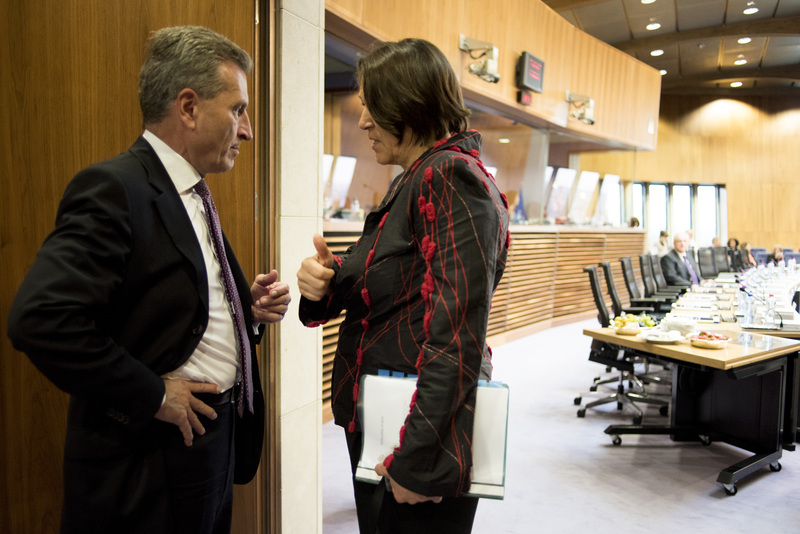 German commissioner Guenther Oettinger will face MEPs on Monday evening (9 January) in a joint meeting of the budget, legal affairs and budgetary control committees. 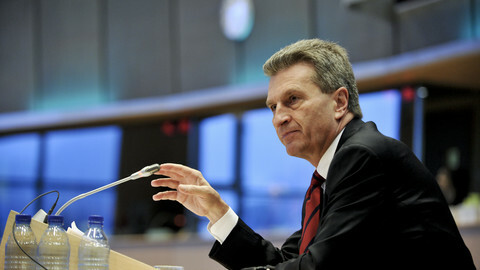 Oettinger has taken over the budget and human resources file from Kristalina Georgieva. Last week however, several MEPs and NGOs called on Juncker to reconsider the appointment because of recent controversies surrounding Oettinger. He made racist, misogynist, and homophobic remarks at a dinner with German businessmen last October and took a flight, last May, on the private jet of a German pro-Russia lobbyist. He later apologised for his comments and denied wrongdoing over the jet incident. 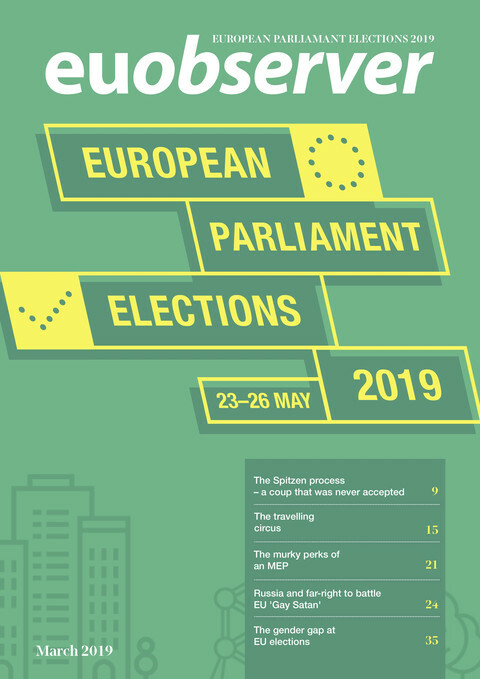 During the "exchange of views" MEPs are expected to touch on the controversies, but some have complained that the European Parliament is denied a vote on the appointment to make sure the German EU commissioner gets the promotion. 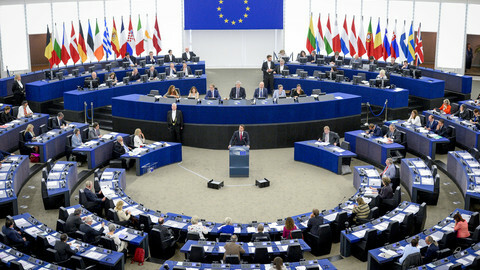 The European Parliament is to begin its work in full swing this week. 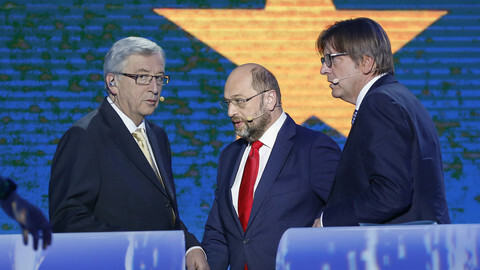 The presidential race will dominate the political chatter in the corridors, as liberal leader Guy Verhofstadt is courting Italy's populist Five Star Movement to secure enough support for his bid. Work will commence in the committees, with MEPs in the civil liberties committee discussing on Thursday (12 January) the implementation of the EU-Turkey deal on migration, the state of play on relocation and resettlement. MEPs are also to debate the commission's recent recommendation to resume transfers of refugees back to Greece under the Dublin regulation. The UN's refugee agency's director for Europe Vincent Cochetel will also present proposals for better protecting refugees in the EU on Thursday in the EP. Finally on Thursday, MEPs on the legal affairs committee will vote on the first set of rules at EU-level to address legal and ethical issues raised by the increased use of robotics and artificial intelligence. The MEPs will call for legislation to define who is liable for the actions of robots, increase safety, and introduce an code of conduct on ethics.